Quite Before The Storm: As we thought, this summer has been pretty quiet bordering on boring economically. It’s almost as if the global elite and political leaders have decided they need a six week holiday after so many summers in crisis. The Olympics created a nice break. Money managers have been on their boats in the Med and Miami. Schools are still on holiday. The mini-crash did take place as we predicted by May this year, but things have recovered somewhat since in thin trading. There seems to be expectations of further money printing that is supporting stock prices for now. But things are about to get a whole lot worse. The problems are multiple are coming together into a very turbulent period. Let us explain. Election Boost: The US Election is now approaching in Nov 2012 – there won’t be anything that could de-rail the incumbent’s Presidential chances. Many of the global elite want Obama back in power because he is a known entity that loves to print money and keep interest rates low – something the bankers at this time also like. Obama is trying to keep the Government – Wall Street alliance going for as long as possible. But eventually it will fail miserably – but the bankers will probably still make huge hoards of money from the big down leg in short positions. The markets are rigged against the average investor. Fiscal Squeeze - Cliff: By Dec 2013, the investments leading up to the elections will be over, tax increases will begin and spending cuts will kick-in – all enough to re-rail the US economy further an d send it into a proper noticeable recession. Of course the US has been in recession for years – it’s just that if real inflation is running at 7% and you quote 3%, then you can advertise a growth rate of 2% (instead of a recession of -2%). When people realise the recession has worsened, there will be a big run on the dollar. This is likely to unfold around Jan 2013. Panic: When panic starts, the Fed will of course start the printing presses again (or electronic printers) – but this time it will have little effect apart from creating rampant inflation as the dollar declines and import costs rise. Despite a recession, oil prices could keep rising as the walls of dollars hits the banks and they hedge against inflation by buying the black stuff. Bond Market Bubble: we have long warned of the bond market bubble – what we mean by this is that bond prices are high and rates extremely low considering the risk of default on the debt. It seems people think the US can indefinitely keep printing its way out of trouble whilst international markets accept the practice. But it is doomed to failure – it’s the clearest bubble we have ever seen. When it pops – most likely in 2013 – when international investor shun the dollar – a wall of dollars will hit the streets and cause rapidly escalating inflation. A mad dash to buy assets to get rid of the dollars before they become worthless. At such time, stock prices could rise but certainly gold and oil prices will rise sharply. A big dash from bonds to gold could see gold prices triple in short order. Silver prices could go up tenfold quite easily as the dollars are finally accounted for in the form or real sound money – namely gold and silver. 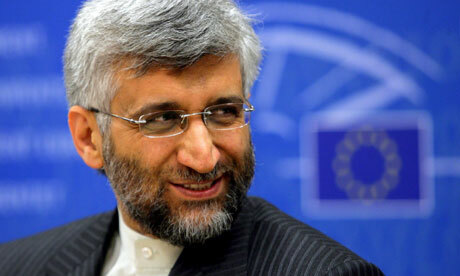 Iran: This is a wild-card for 2013 – the big question is will the world watch whilst Iran develops a nuclear weapon? Or will there be another war with USA and Israel leading the way? No war against Iran’s 70 million citizens can be won – it never will and never has. Any military action would see oil prices double in short order and lead to a global recession and high inflation. 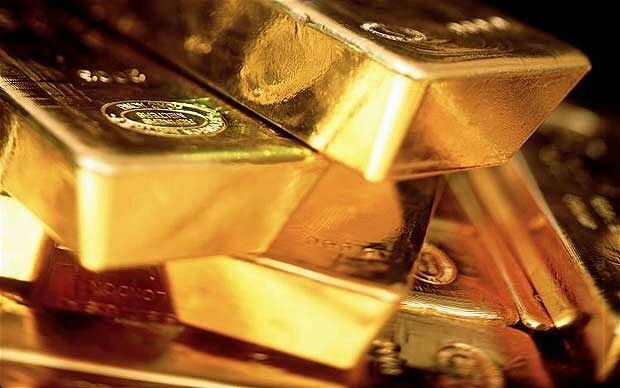 If war breaks out in 2013 shortly after the US Elections – a distinct possibility – then gold prices will sky-rocket. Gold Ballistic: When unemployment starts rising, recession is confirm, oil prices rise or at least become turbulent – then gold prices will really start to go ballistic as panic sets in. The largest gold mining company stock prices will rise sharply. Money Printing: The all countries will be printing money again, Europe, China an d the USA – all leading to higher inflation and commodities prices. Low priced oil meant goods could be transported cheaply around the global leading to greater trade and increase in living standards. Oil prices rose from $9/bbl in 1999 to $100/bbl in 2012 – a tenfold increase – reducing the living standards in large oil importing nations like Spain, Greece, USA, Italy and France. The transport costs have decreased the advantage of globalisation and outsourcing. Votes Count: As you can probably tell, our faith in the politicians and public sector economists to make the right decisions and calls is not high. They want to win votes and elections – normally the best way is to provide hand-outs and keep a positive face. Meanwhile kicking the can down the road. Cutting spending, reducing debt and re-balancing the economy normally does not win votes – Osborne in the UK is trying this, but he’s not cutting deep enough probably because of pressure from Coalition partners and within his own party. Swollen Public Sector: Western economics should have public sectors that are about 25% of overall GDP, but in many areas of the UK, it’s more like 50% (53% in Newcastle). It rose from 37% in 2000 to 44% in 2010 under Gordon Brown and Labour. This was not and is not sustainable – 53% is worse than the old Soviet Union block countries and needs future generations borrowed money to keep it going. It would eventually collapse just as the Soviet Union did. There has to be a massive re-balance away from public sector spending to private sector investment and employment . Regrettably it’s not happening fast enough as the manufacturing sector struggles onwards – so the UK might well lose its AAA credit rating if a recession hits later this year and the IMF and Credit Rating Agencies think the UK might struggle to pay back its debts. Youngsters Feel The Brunt: For the over 40s people that think they are being squeezed, just pause for a minute to think of the plight of people in their 20s. · You could buy a flat in West London with a 5% deposit for £75,000 (prices then rose 4 fold in 16 years). · There were not college fees – the government paid you £2500 a year to attend college. · A fancy wedding cost about £5000. · A starting salary for a professional job was £15,000 so it took a year to scrape together a deposit and duties/fees for a house of about £5000. · You can buy a flat in West London with a 20% deposit for £300,000. · College fees are £9000 a year – so a four year course costs £36,000 plus living costs –at least £60,000 in total – a mountain of debt before evening starting work. · A fancy wedding cost about £25000. · A starting salary for a professional job is £40,000 and tax has risen so it takes about 5-10 years to pay off debts and scrape together a 20% deposit and taxes/duties/fees for a flat – say about £70,000. Huge Disadvantage From Years Ago: Very few of the people in their 20s will ever become wealthy because they are likely to give in even before starting. The sheer weight of huge debt and tax at an early stage is demotivating and drives losing behaviours – for instance – if one never earns more than £22,000, you don’t have to pay back the student fees. It’s a massive tax on future income. Some of the smartest young people will never reach their potential – and some of the less smart people that have no intension of ever working will go to college for the nice experience. It’s obviously got rather desperate having to charge all English people £9000 a year fees (if you live in Scotland or Wales, the fees are about a third of this). But for any English person thinking of going to college in Scotland, you will of course have to pay £9000 for the privilege (your Welsh and Scottish associates will pay about £3200 a year). Strong Rental Demand: This is relevant for the property sector, because it means rental property will be in fairly strong demand in future years, but starter homes and lower-middle class housing is likely to see subdued demand because of high taxes, high debt burden, lower demand from younger people and aging wealthy people downsizing. Boom: Working in the other direction is the booming population – particularly in London and the south-east. The population is likely to increase still faster putting more pressure on rental prices and also house prices a supply lags demand despite slow markets and a stagnating economy. People will still aspire to own their own home – this will not change – but it will become more costly to do so. Property Investment: The good news for property owners is – despite a slow market and difficulty getting finance for property purchases (rates rising, banks not lending much, high fees and high deposits) – the effects of inflation will spread far across the board. All prices will rise. The really important thing here is that wages will rise, house prices will be steady of rising and the real terms value of the debt will be destroyed pretty quickly for existing home owners. This always happens in high inflationary times. That £100,000 mortgage seems huge today, but in ten year’s time, it will feel like less than half the amount (with 4% inflation). That’s a key reason why super rich people buy property when the sense inflation is around the corner. They use cash to buy prime property – then sit on it – as all prices rise. At the end of a severe inflationary phase – what we expect in the next few years as money printing accelerates – the debt will be whittled down nicely, asset prices should have risen a little and any cash you would have had in a savings account would have been destroyed (inflation 5%, savings rates 1%). London: There remains a huge influx and net migration into London from all corners of the earth. The Olympics highlighted the culture, history and unique value of London to foreigners – a truly safe metropolitan city that treats people with respect. As the UK economy slips into recession, at least London will still be attracting the super-rich and highly educated that bring jobs and boost the economy. There is likely to be a hang-over from the Olympics in the form or lower employment and a realisation that the UK economy is not in good shape but overall, we remain fairly positive about the London property market. Another 800,000 people arriving in the next ten years – we were saying exactly the same 6 years ago and it happened – about 80,000 extra people a year. But can you see 40,000 new properties being built each year – now way. 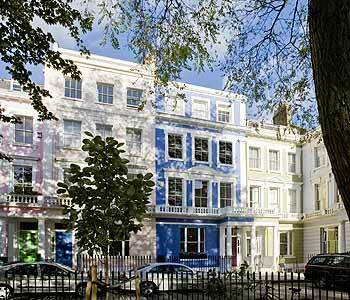 London and its properties will get even more crowded – and many of the super-rich will keep their prime real estate investments empty. They export the money from overseas and park it on Park Lane. Safe Low Crime: An interesting fact is that London’s murder rate has halved in the last twenty years – reasons cited are the clear-up rate of murders because of video surveillance and DNA forensic evidence plus the excellent response of emergency services when incidents occur. Gun crime is low for such a big city and this is another reason why the global super-rich prefer London to many other big cities and the USA. One of the great things about the UK is guns are almost non-existent. It’s alos very unusual for people to go missing. Control Society: The closing thought is almost all investors are pawns in the workings of the global elite that control 90% or the wealth and dictate the direction of proceedings. The governments have become so inter-twined with banking and regulation that we no longer have proper private free enterprise and capitalism. It dies in 2008 - when governments stepped in and bailed the poorly performing businesses out - propping up the worst and penalising the best. The markets are manipulated to a massive extent as gold and silver prices are suppressed to give the impression of a strong dollar as the "global reserve currency". This will eventually end - but until then - the dollar will be propped up and gold suppressed. Eventually the markets always win - and they will run against the dollar when the real crisis breaks out and becomes clear.